the writing and dissemination of research. The authors present research as a principled activity that begins with the establishing and structuring of theoretical and empirical fields and research findings as serving to ask questions of educational practice rather than directing it. 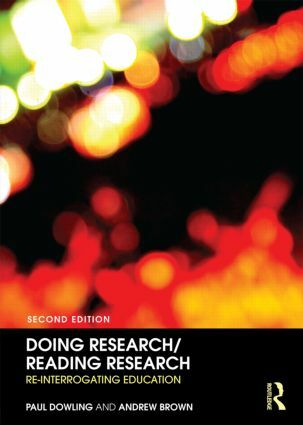 This revised and updated second edition includes a new chapter dealing with the complex issue of research ethics. It also includes consideration of digital technologies and new media, both as settings of research and research tools, the chapters on qualitative and quantitative analysis have been expanded and the annotated bibliography updated. The authors have been active researchers in educational studies for more than twenty years. They have also supervised numerous doctoral and masters dissertations and taught research methods programmes in various higher education institutions around the world as well as in the Institute of Education, University of London.